Guests Lisa Clark, senior editor for Concordia Publishing House and author of The Messengers Series, and Rev. 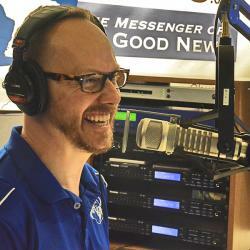 Travis Scholl, managing editor of Seminary Publications for Concordia Seminary in St. Louis, talk about the upcoming “Faith and Writing” workshop on the Concordia Seminary campus July 25-27, 2017. Listen in to hear more about why this workshop is unique and what the presenters will be teaching. Learn more and register at csl.edu/resources/continuinged/faith-writing-workshop and read Rev. Scholl’s blog post at concordiatheology.org/2017/06/the-writing-life.